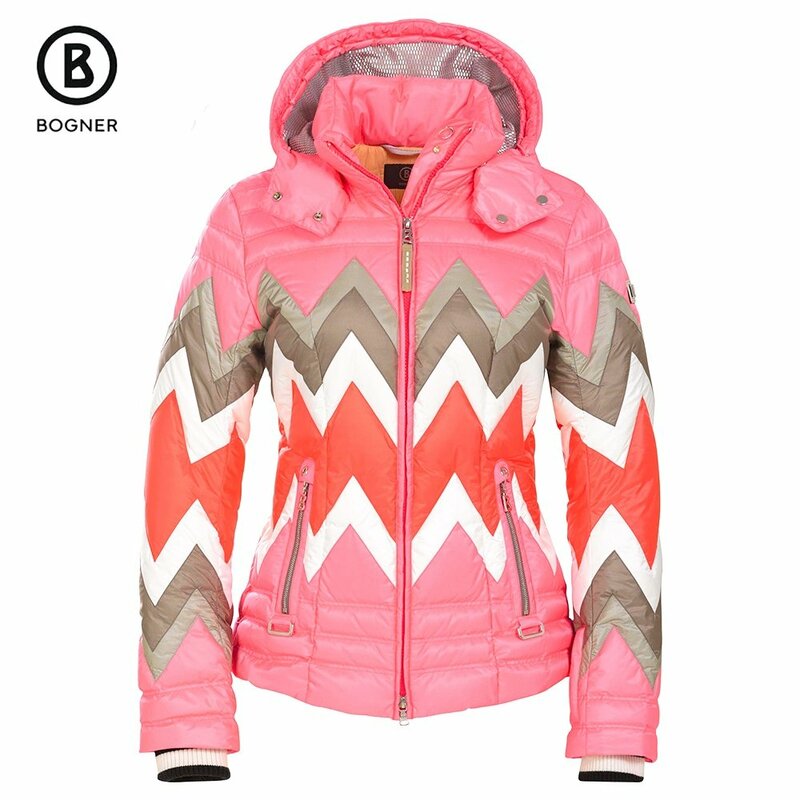 The Bogner Nara-D Jacket was featured in our Top 12 Season's Hottest Designs! Glide down the slopes with confidence in the Bogner Nara-D Down Ski Jacket. This comfortable, stylish fitting coat will keep in the warmth with its luxurious down insulation. The narrow horizontal quilting at the chest, shoulders, and hips flatters your figure. Contrast zig-zag designs give a vintage feel that will sure turn heads, while the Swarovski B circle logo gives a glint of sparkle. Zipper garages on pockets, reflective mesh fabric inside the hood and leather and metal logo on the upper left sleeve are among the many details that set this jacket apart from the rest. A detachable hood with fur trim option Hoodfur2 Hood Trim is sold separately.